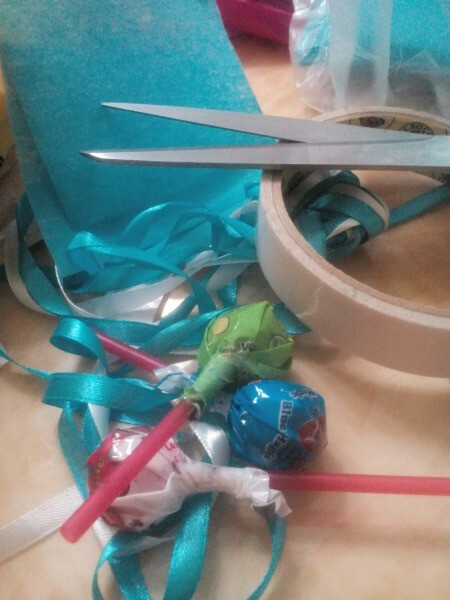 The school year is about to end and I have started my seasonal business again. My business strategy is simple. To make it appealing, know your market. 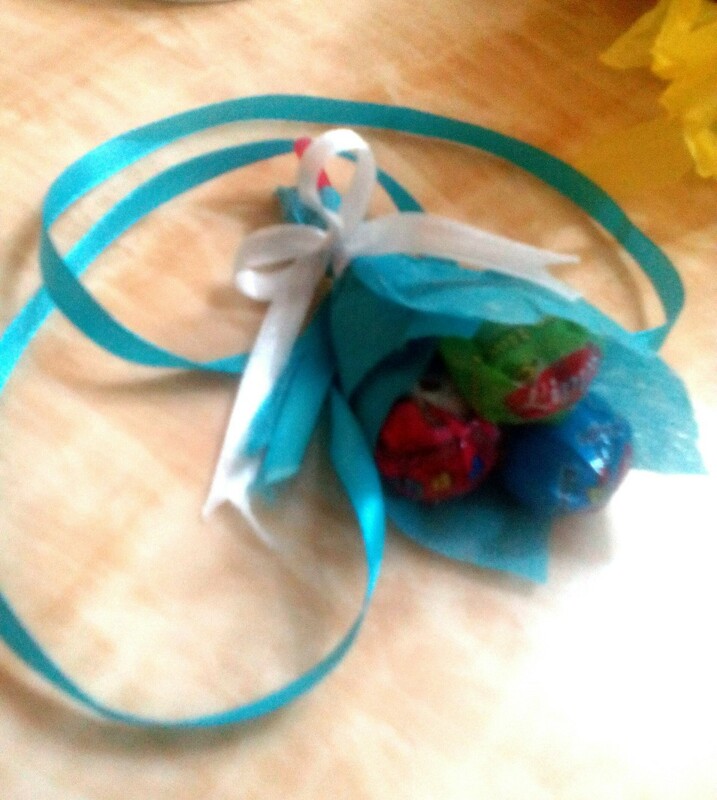 I have started this at my kid's school with candy garlands since kids love to have candies around their neck during graduations and enjoy the goodies afterwards. 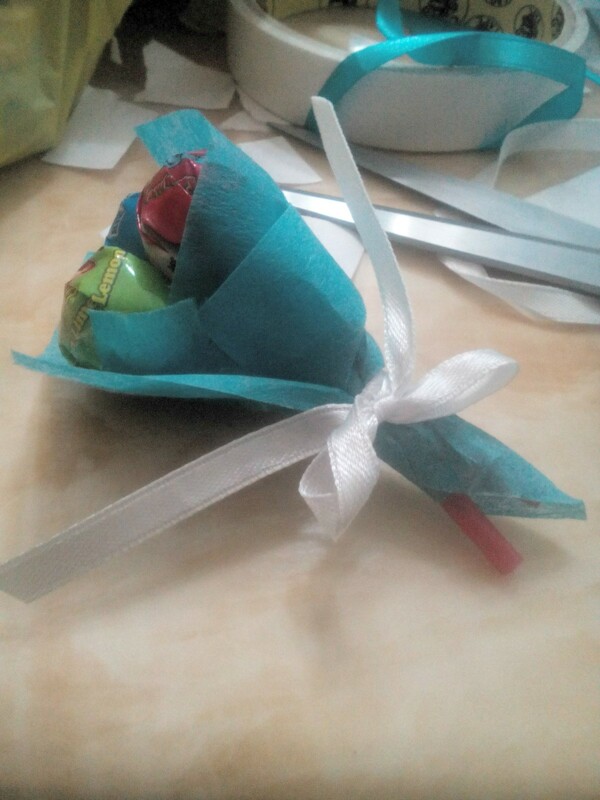 Now, I'm getting more customized orders. The one I'm making today is just simple, as instructed by buyers. Check it out. 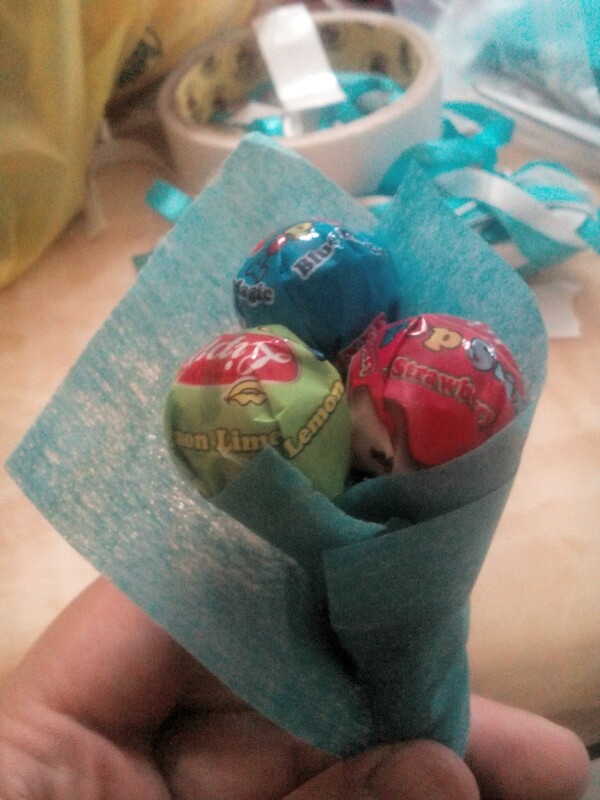 Take three different flavors of lollipops. 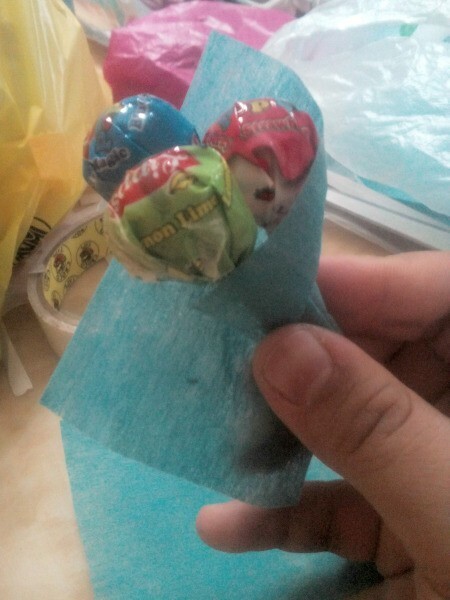 Arrange and stick them together or tie with double sided tape. Wrap with a 4x4 inch square of felt paper. Take another paper and wrap around the first cover. Tie a ribbon and make a cute bow around the handle. 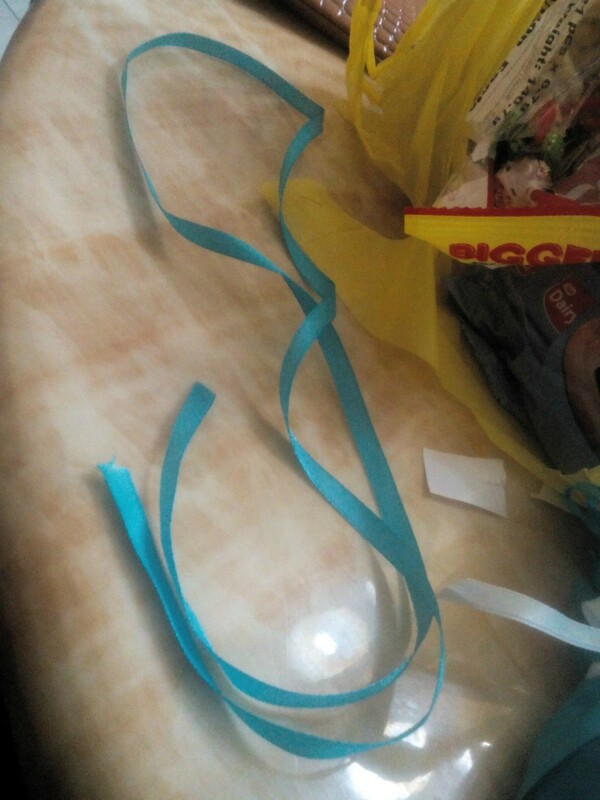 Cut out another piece of ribbon about 1/2 meter long (approximately 19.5 inches). 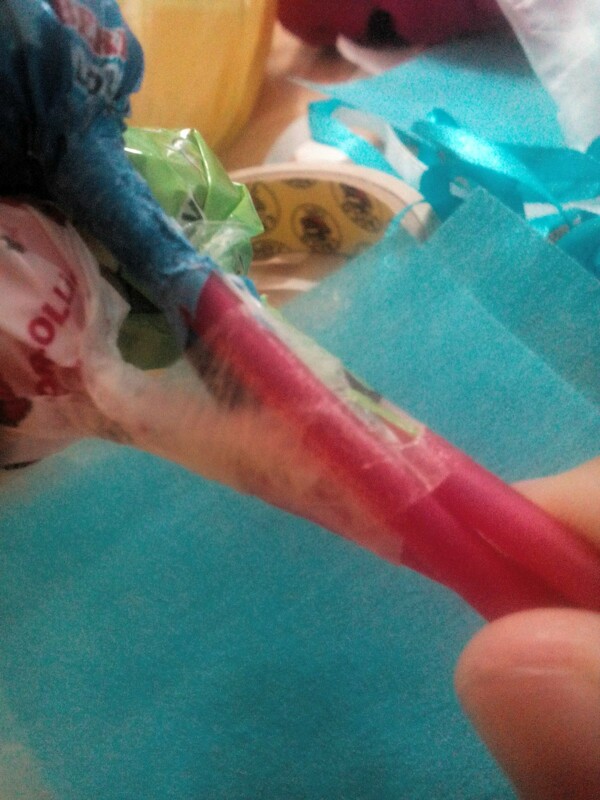 At the back portion of the bouquet, stick a double sided tape so the 2nd ribbon doesn't fall off. Loop and tie the second ribbon around the bouquet very tightly. It's done. 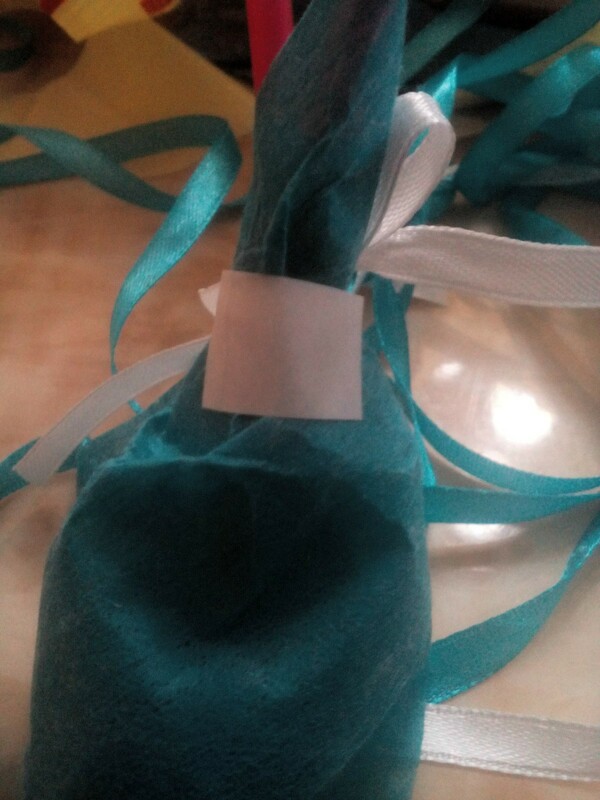 A very simple goody project.